Herbal remedies for depression might help with your mood, but be careful with the herbs that you choose and how they might interact with other medications. Almost everyone feels sad at one time or another. Roughly 50% of the population will suffer from depression at least once in their lives due to loss of a loved one, loss of a job and just about any major life change. Additional causes include thyroid disorders, poor diet resulting in vitamin deficiencies, stress and lack of exercise. Most of the time, depression is due to a lack of a chemical in the brain known as seratonin. For many, psychotherapy can relieve depression, while others need medication. These drugs have helped many people but for some they have side effects, and some of these drugs remain in the body for weeks after they are discontinued. Herbal remedies for depression are used with the same view as psychiatrists have:depression is a physical ailment with emotional symptoms! Single herbs may help for long term use in mild depression, while more severe cases may benefit from multiple herbs. NO ONE should subsitute herbs for prescribed medications or psychotherapy without first discussing it with a healthcare provider. Immediately call emergency services if you are having thoughts of suicide. 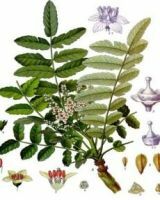 Below is a table with a listing of herbal remedies for depression and comments about the herbs. See which is best for you! Many of these herbs can be taken in combination or taken separately. Be sure to read the cautions as some cannot be taken with prescription medications. Many times, people with mild depression have been able to combine herbal therapies with lifestyle changes such as exercise to combat their symptoms. Generally, when it comes to effecting change, you have to give it a full 90 days, but if you are not feeling better in 2-3 weeks, then you need to contact your healthcare provider. Ginko Tablets. 160-180 mg/day. Reverses depression, espcially if on blood pressure medication. Kava Tablets. 60-120 mg/day. Do not exceed 120mg. Treats depression occuring with anxiety. Lemon Balm Tablets or tea. Use as directed on label. Helps stomach during stressful situations. Moringa Capsules. 1000-5000mg 3x/day. Relieves depression, enhances male sexual function. St. Johns Wort Capsules. 900mg/day Good if depression, tension and fatigue are combined. Valerian Capsules. 100-900mg/day Assists in restful sleep if anxious. Do not take ginko if you are on other blood thinners like aspirin, Plavix, Aggrenox or coumadin. Kava increases the effects of alcohol and psychoactive drugs. St. John's Wort is an MAO inhibitor and will interact with prescription SSRI medications. It should be used with caution in pregnancy, and may cause skin blisters if you are out in the sun too long. Tips for preventing depression: Exercise three times a week minimum (and SWEAT!). This naturally raises seratonin levels in the brain and you feel better. It may take up to 90 days to have the full effects. Avoid processed foods and chemicals, especially aspartame (NutraSweet) which blocks the formation of seratonin and may increase depression and headaches. Also, alcohol, nicotine and excess caffeine. All of these irritate nerve endings and can make depression worse. So can decongestants like pseudofed. Get 20 minutes of sun exposure per day. This slows the brain from breaking down seratonin. When it comes to herbal remedies for depression, a holistic approach may work well.